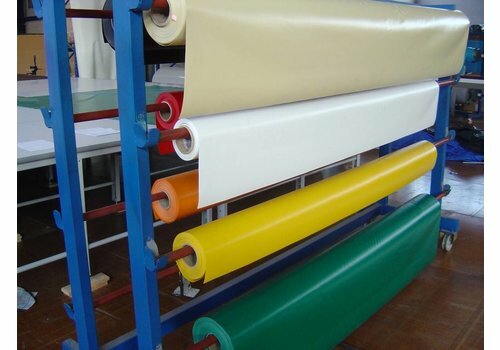 Fire retardant tarp PVC/polyester 650 gr/m², according to standard M2/DIN4102-B1. 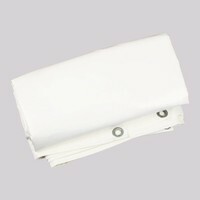 Glossy white, hemmed around and eyelets every 100cm. Cut size 4m x 6m. Flame retardant tarpaulin of 4m x 6m. PVC/polyester 650 gr/m², according to standard M2/DIN4102-B1. 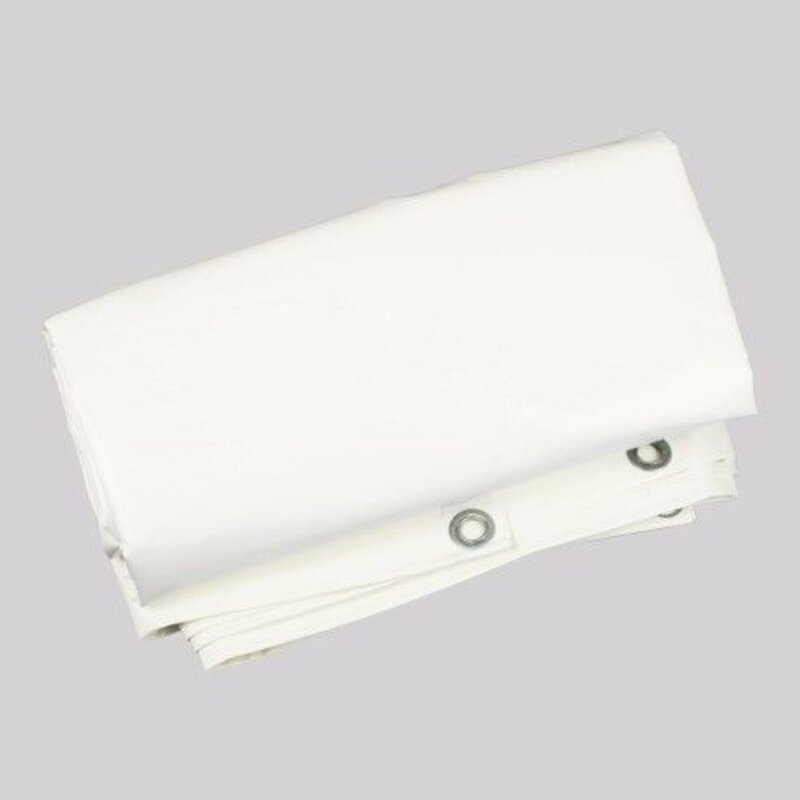 Waterproof and strong tarp suitable for heavy or long-term applications. European product thus REACH conform and long life. PVC/polyester tarp 650 gr/m² of the roll.